The story seems like fiction. A 9-year-old boy in Latin America loses his mother to a stroke. His six older siblings raise him, providing the guidance and financial support to become the only member of their generation to attend college. Then he goes to medical school. Decades later, he’s known around the world as a physician, professor, scientist and writer focused on the disease that claimed his mother. But Dr. José Biller’s tale is true. And in the days leading up to Sunday – which is World Stroke Day – he’ll be doing what he does all year long: working to turn a spotlight on the second most common cause of death in the world and the No. 1 cause of adult disability. About every 40 seconds, someone in the United States has a stroke. A stroke-related death occurs about every 4 minutes. Those stats are even more excruciating when you realize that 80 percent of strokes are preventable and that advancements in treatment have improved the odds of recovery. “What’s your reason for preventing stroke?” is the theme of this year’s World Stroke Day. For Dr. Biller, the reasons are many, and they date back to the late 1950s. Osias “Oscar” Biller and his wife Elena emigrated from Europe to South America in 1920, settling in Argentina then moving to Montevideo, the capital of Uruguay. Oscar owned a restaurant and Elena was known as a kind, gentle, gregarious woman. The family was close-knit, with all seven children often gathering for meals and celebrations. The large brood set the Billers apart in their neighborhood as most families had only two kids. Soon the Billers stood out for another reason. Oscar died of a heart attack. Six months later Elena died of a stroke. “This was the first time I encountered the word ‘stroke’ or ‘brain hemorrhage,’” José said. His four brothers ranged in age from upper teens to early 20s, and they worked hard to keep the family afloat. His two sisters helped care for him. Seeing how stressful life was for them, José sought a different path. In medical school, José was fortunate to have excellent professors in neuroanatomy and neurology. He set out to become an internist until a rotation with a neurologist introduced him to that field’s challenges and the critical thinking skills it required. Add in his personal experience and he’d found his calling. “Stroke is one of the conditions where the affected patient is not the only one who has to overcome a number of issues – it’s a family disease,” said Dr. Biller, who is now the chair of the Department of Neurology at Loyola University Chicago Stritch School of Medicine. Beyond the obvious pain and anguish endured by a stroke patient, the impact can reverberate throughout a family. It can start with the need for relatives to become caregivers. This could be for days … or decades. Once a close relative has had a stroke, it’s another risk factor for you. You now have a family history. High blood pressure, also called hypertension, is the No. 1 cause of stroke and the most important controllable risk factor. Getting it under control usually comes down to lifestyle changes such as eating healthier, becoming more physically active and drinking less alcohol. Controlling blood pressure also lowers your risk of heart disease. Educating people about stroke has all sorts of great ramifications. While prevention tops the list, another key is teaching the warning signs. Do you know how to spot a stroke FAST? Another component of stroke care that drives Dr. Biller is recovery. survivors rehabilitate and reintegrate into a quality life. There are two primary kinds of stroke: hemorrhagic and ischemic. A hemorrhagic stroke means it stemmed from bleeding in the brain. That’s what Elena Biller had. took the life of Dr. Biller’s oldest brother. in her 50s and his brother was 62. Perhaps more relevant than their age is the timing of their strokes. improved the chances for survival. so important for people to know the warning signs. Most stroke survivors leave the hospital or rehab with at least one, sometimes several, medications they may not have been taking before. This may be quite a surprise for some patients — especially if stroke isn’t the only new diagnosis they received. “If the stroke is the result of undiagnosed diabetes or high blood pressure, they may not have been on any medications before, and they may leave the hospital with multiple prescriptions,” said physiatrist Lynn Vidakovic of the Shirley Ryan AbilityLab in Chicago. Following the healthcare team’s recommendations and taking medicines as prescribed is key to keeping your risk of another stroke or heart attack as low as possible. It may take some getting used to, especially if you haven’t been on medication before. Never quit taking a prescribed medicine without talking with your healthcare provider first. There are many ways they can work with you if you’re having any kinds of difficulties with any of your medicines. Understanding the purpose, potential side effects and risks of not taking your medicines as directed is important, whether they’re prescribed or over the counter. Let’s look at some of the most common medication therapies recommended following an ischemic stroke. Roughly 87 percent of strokes are due to some sort of blocked artery, and as a result, survivors will often need an antiplatelet or anticoagulant. When we get a cut or scrape that bleeds, the platelets in our blood release a chemical that signals other platelets to come and form a blood clot, closing the wound with a scab. Antiplatelets work to limit the release of that chemical signal, preventing platelets from coming together and clotting as easily. This is why antiplatelets such as aspirin, clopidogrel, dipyridamole and ticlopidine, allow blood to flow more easily. Depending on the patient and what caused their ischemic stroke, aspirin or other antiplatelets may be recommended on their own or in combination to help prevent clots from forming in the blood vessels and causing another stroke. Your healthcare provider determines the right dose and combination of medicines for you based on several considerations, including your risk factors profile. While antiplatelet therapy has many potential benefits, it is not right for everyone. For example, people with a history of liver or kidney disease, gastrointestinal disease or peptic ulcers, high blood pressure, bleeding disorders or asthma may not be able to take aspirin or may require special doses. When a stroke is cardioembolic (caused by a clot formed in the heart that then travels to the brain) due to atrial fibrillation — a condition that increases the risk of stroke five-fold –, heart valve or other problems, it’s likely an anticoagulant will be prescribed. Anticoagulants do not dissolve clots but may prevent existing clots from getting bigger and causing more serious problems, such as a second stroke. Older anticoagulant drugs are heparin and warfarin. These older anticoagulants interfere with the production of clotting factors made in the liver. That means they must be monitored regularly through blood tests for their impact on the liver. The goal is to make blood clot less, not to prevent clotting completely. Warfarin also requires regular blood tests to ensure the correct dose. Too little increases the risk of stroke and heart attack, but too much puts someone at risk for bleeding. Generic brands may be a different strength than the one prescribed by your doctor. Speak to your doctor first if you are considering using a generic if not prescribed initially to make sure the drugs are equivalent. Also, warfarin users must be careful with their diet and avoid Vitamin K, which is found in cabbage, cauliflower, spinach and other leafy green vegetables. Warfarin slows clot formation by competing with Vitamin K, so having too much of it makes the medicine less effective. Newer FDA-approved anticoagulants — sometimes referred to as novel oral anticoagulants (NOACs) or direct-acting oral anticoagulants (DOACs) — are rivaroxaban, apixaban, edoxaban and dabigatran. The newer anticoagulants are simpler to use because they don’t require frequent blood tests and some of them have a lower risk of major bleeding as well. Occasionally some survivors may be told to combine antiplatelet and anticoagulant therapy, depending on their health profile and risk factors. But this is unusual and, if you are on both, you should ask your healthcare provider why. All strokes and survivors are unique, so secondary prevention must be tailored to each survivor. Many ischemic strokes are due to the narrowing of blood vessels to, or in, the brain brought on by plaque buildup. This buildup is known as atherosclerosis (“hardening of the arteries”) and high levels of cholesterol in the blood may contribute to its development. Statins work in the liver to keep cholesterol from forming. Several medications lower cholesterol levels, but statins are recommended for most patients because they’re also known to significantly reduce the risk of a heart attack or stroke. “There are other benefits of taking them beyond lowering the cholesterol. For instance, they can also be anti inflammatory,” Vidakovic said. Another advantage to statins is that they are well tolerated, with few side effects. 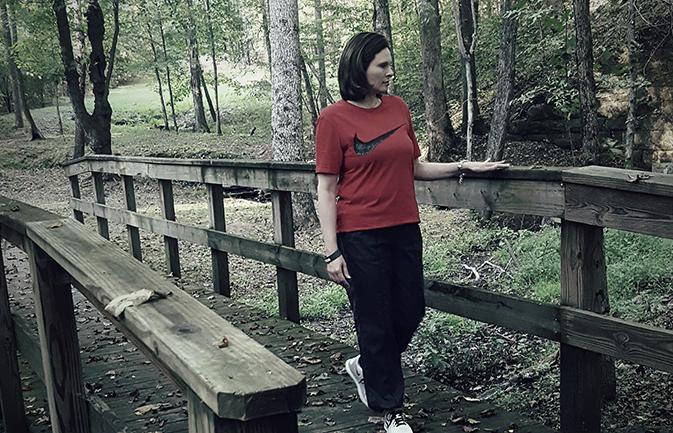 “It’s important to check your liver function and, in a very small percentage of people, they can cause myopathy, but the benefit of reducing your risk of stroke by lowering your cholesterol, specifically your LDL, is large,” she said. Your doctor may consider other medications, too, especially if statins cause serious side effects or they don’t help you enough. Depression has been reported in as many as 33 percent of stroke survivors, but we currently don’t have reliable estimates for how often depression happens with stroke. What we do know is that when stroke survivors experience depression, it can be an obstacle to their participation in their own recovery. One study of fluoxetine, a selective serotonin reuptake inhibitor (SSRI) for depression, demonstrated that it was also helpful for motor recovery. There have been several small studies of SSRIs that suggest this benefit, but larger, well-controlled trials are needed to confirm the validity of the findings. When Vidakovic prescribes it for motor recovery, it is typically no longer than 90 days. High blood pressure (HBP) is a risk factor for recurrent stroke and other cardiovascular conditions. There are many types of HBP medicines that work in different ways to reduce BP. It may take more than one and several dosage adjustments before blood pressure is under control. Vidakovic suggests using brushing your teeth as the cue for taking HBP or diabetes medication, and she reminds us that every increase in blood pressure increases the risk for recurrent stroke significantly. It is very important to take your prescriptions as directed. These medications are prescribed in the doses and at the times they are because the science has shown them to work best when taken that way. Any deviation from these instructions should always be discussed with your healthcare provider. Don’t assume that “taking more” will increase the effect or “taking less” will give you the same result with fewer side effects. Never stop a long-term medication unless advised to do so by your healthcare professional. Many side effects can be minimized by taking the drug at a certain time of day, e.g. blood pressure meds taken at bedtime, or to take advantage of the body’s circadian rhythm. Many drugs also can be absorbed differently if taken on an empty stomach or with food. Taking medications as directed is important, and changing how they are taken should never be done without consulting your doctor or pharmacist. Learn more about some of the side effects of common post-stroke medicines on the Stroke Connectionwebsite. Even with full understanding of the purpose and benefits of post-stroke medications, many survivors experience challenges taking their medicine as directed. Let’s explore some of the main barriers people deal with, along with tips for overcoming them. Stroke survivors often have to take multiple medications, particularly if they have other conditions such as atherosclerosis, high blood pressure or diabetes, which may have contributed to the stroke. The more complicated the drug or lifestyle prescription, the easier it is to miss doses, miss refills or just simply be overwhelmed. Schedule a “brown bag” session with your doctor or pharmacist. Put all your prescription and nonprescription medications in a bag and take them to your doctor’s office or pharmacy. They may find overlapping or duplicate prescriptions from different doctors. This would also be a good time to make a medication map. Periodic medication reviews allow you to ask if simpler, less expensive or otherwise better alternatives are available. Prescriptions can be expensive, and even patients with good insurance may find that their out-of-pocket costs are more than they can afford. Patients on fixed incomes may think they have to choose between their prescriptions and other necessities. In an effort to stretch their medicine, they may reduce the amount they take or the frequency, hoping it will still be effective. But a medicine not taken as directed can’t work as expected. Solutions: If you’re having challenges affording your prescriptions, speak to your healthcare team about it, they may be able to help find medications that are affordable and within your health plan. You may also want to see Managing Prescription Costs for ways to save money. I don’t really need this. Solutions: Following a stroke, survivors often find a “new normal” — and medicines are often a part of that. It may be difficult to accept and adjust at first but keep in mind that the medicines and lifestyle recommendations from the doctor are designed to keep the risk of another life-threatening event at bay. Talking with a professional counselor may also help with moving beyond feelings of denial. Enlisting the support of family and friends to help keep on track with meds and to encourage and participate in healthy behaviors, like eating right and making time for physical activity, can be helpful for all involved. I have a hard time remembering. Survivors with high blood pressure or diabetes must monitor those conditions closely. If they’re also experiencing dementia or memory loss, it can interfere with their ability to keep track of these conditions. Solutions: Thought process challenges may be difficult to compensate for. Medication maps (see above) and simplified drug regimens are helpful. Family support is important, but professional caregiving services may be necessary in dealing with this barrier. Caregiver creativity can help. For instance, they may mask the medication by putting it in food or drink. For patients who do well with a smartphone or tablet device, there are also apps that can alert a patient at the right time with the name of the medicine and instructions for using it. I don’t know why I need this. Some survivors don’t understand the underlying condition that may have caused the stroke and aren’t ready for the amount and complexity of information that comes with their diagnosis. That information is often given at hospital discharge, a time when patients may find it hard to focus on what is being said. Solutions: Ask someone on your healthcare team, whether it’s your doctor, nurse practitioner or a clinical nurse specialist about anything and everything that you’re not sure you understand. Ask if they have any printed material for patients that explains your condition(s) or a list of credible, layperson friendly websites you can visit. The American Stroke Association’s website is a great place to start. If you have more questions after exploring print materials or the internet, write them down and discuss them with your healthcare provider. If you are unsure about medication, ask questions of your nurse, doctor or pharmacist. I just can’t get this into my routine. It seems like taking a few pills every day would be easy to do, but sometimes things that should be easy simply aren’t, especially if there are no immediate repercussions for not taking medicine, eating the wrong foods, or not exercising. At first your medication may be the highest priority, but as you get further from the event, other priorities pop up and demand attention. A prescription bottle gets pushed behind something else, and without a symptom to signal that something is wrong, might be forgotten for days or weeks. Solutions: You can’t make something a habit until you’ve made it a priority, so make taking your medicine as important as brushing your teeth. Most people don’t wait until someone tells them they have bad breath before using a toothbrush. Don’t wait for your body to tell you that you need to take your medication. Making a written commitment can help. If yours is a complicated treatment plan, ask your doctor, nurse practitioner or a clinical nurse specialist if it can be simplified. Use a weekly pill box where a week’s worth of pills can be allotted. Cue pill taking with some other activity, like eating. Set an alarm or find a smartphone app that lets you schedule automatic reminders. Ask your family to help you remember. I don’t like putting foreign substances into my body. Some people fear being defined by their condition, and taking medicine reminds them of it. Others are simply afraid to put foreign substances into their bodies, fearing there will be unknown consequences or that they will become addicted. Solutions: Many fears are unfounded. Talk with your healthcare provider about any fears or concerns; they may have information that will put you at ease. If you experience side effects, report them and talk with the doctor about other possible ways of taking the medicine (with food? change frequency or dosage?). For more information on things you can do to prevent another stroke, visit StrokeAssociation.org. The following was written by our Retreat & Refresh Stroke Camp director Marylee Nunley. I first posted it on this blog in 2012. I think it is worth re-publishing. Her husband John suffered a stroke and these are her thoughts based on her and John's new normal journey. Hearing early on (in a kind, gentle, and positive way) that this is a permanent condition, but still not to lose sight of great possibilities. To be informed that recovery takes lots of time and patience by all. The brain is injured and it may take up to six months or longer for it to heal and recover. After that time, the patient will be working with the undamaged parts of the brain through a lengthy but rewarding relearning process. How to find the handbooks from www.strokenetwork.org (online support group) or www.stroke.org (NSA) at the onset. The internet and Facebook is full of things that help families understand the different parts of care and rehab that will be happening. Find Facebook support groups, attend a support group, there is lots to learn and you'll benefit from connecting with others. Being given a list of stroke specific terminology would help, too. Stroke survivors may seem to understand way more than they actually do. My impression was that if he heard it, he understood just like I did. That couldn’t have been farther from the truth. Receptive aphasia means that the person with the brain injury doesn’t hear and process the words the way they are spoken and may not understand what is said or completely misunderstand what is said. This gets better, but for us, has never gone away. Progress will be in terms of months and years and for the rest of your life, not in just days and weeks. More about the caregiver role and what will be expected once going home and about burnout. No matter how much energy and commitment we have, there will be a time we’ll just get tired of the responsibility. More about aphasia----look at the person, go very slowly, know that even though they hear what you say, they may not fully understand. Support groups—both survivors and caregivers need them. What to look for with regard to depression (often comes out as anger or crying) from isolation and loss of parts of their life. Understand how frightened the patient is and how lost they are in the world and may not understand what’s really going on. Routine should become your best friend for a very long time. ADL equipment, gadgets and gizmos. There isn’t time for the medical community to provide all this information and they don’t have the means (financially, insurance runs out) short of funding of some sort of program following discharge. Here is where support groups can help. Understanding Health Benefits can be a challenge and making friends with a good social worker, discharge planner, or the insurance billing clerk can’t hurt. Disability application is long and tedious. There are books that can help. Make the adjudicator your friend and follow through with their requests. Well, that's my list. Undoubtedly you will have other items that you've encountered. If you want, go ahead and share them by leaving a comment. That way we all learn just that much more. Angela currently resides in Hoover, Alabama with her husband and two daughters. Her passions include stroke advocacy, maintaining a healthy lifestyle, writing and the art of Calligraphy. Sneak peeks into her personal and family life can be found on Instagram at angeladcalligraphy (Angela Dawn). Stroke rehabilitation. Whether your stroke was diagnosed as major, mild, or somewhere in-between, rehabilitation is often a frustrating journey filled with every emotion imaginable. While each post-stroke journey is unique, I believe true healing begins the moment a Survivor not only acknowledges, but accepts, the one realization that we all must face no matter which area of our brain was affected: We are not the same person we once were nor will we ever be that person again. For me personally, facing this truth was undeniably soul-crushing. I adamantly rejected the notion at the beginning of my rehab journey, as do many fellow Survivors. The mere thought of being permanently altered was enough to blanket me in a cloak of anger and bitterness. Denial became a daily crutch that I desperately needed; without it, I found it almost impossible to function. No matter where you are on your own journey, I just want to encourage you to live your life to the absolute fullest. The first step in doing so is learning to love the new you, no matter how broken or damaged you may feel. Once you shift your perspective, you’ll find that life is in fact still beautiful, just as you are and always will be. Four teen stroke survivors who share a special bond are graduating from high school this weekend. Over a 2-year span, four KC-area highschoolers suffered strokes. Finding each other helped with their recovery. And this weekend, they’re all graduating - right on time. This Blog posts a new article every Monday. Use the Archive links below to see past articles.